Himesh Reshammiya has shown Muscles and now he is showing guitar on fire. Shweta looks sweet with Himesh and here is Shweta looking hotter than before. 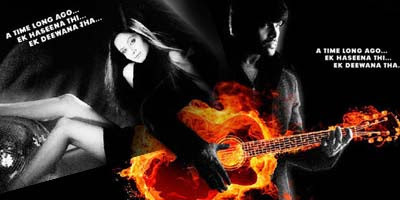 Checkout new wallpapers from movie Karzzz featuring Himesh, Shweta and Karzzz guitar on fire!